If regular architecture was like software architecture. or… what my settlement in fallout 4 usually ends up looking like. A fulfilled couple of so and sos. 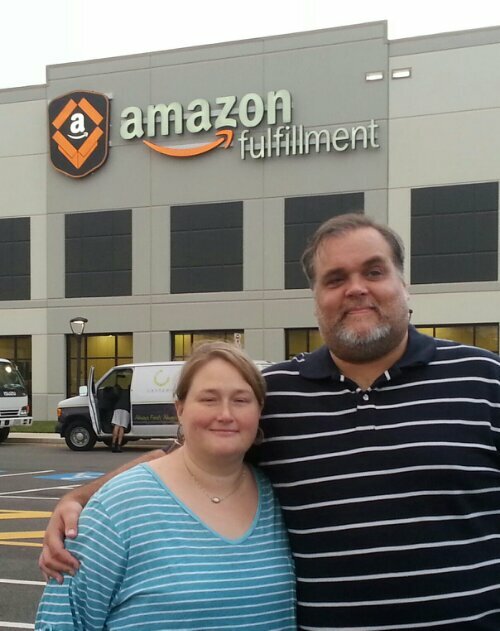 At amazon in chester, va. Happy Midweek and Midmonth, Dear Journal. Another day, another 2¢. Glad to be on the rails home. I’m chilly and tired, happy to be snuggled up in my homemade scarf. I’m feeling pretty good, though I am more than a little hungry… ready for dinner, for sure. I was chasing phantoms much of the day today – phone meetings, web searches and inventory taking up the bulk of it. All of it useful, but very time-consuming. I’ve got more than a few meetings tomorrow morning, too – I have one user that is very itchy to get his version software in place – I get to teach him about repositories and more to the point, branching/merging. Ideally, this won’t be too much of a challenge, but I need to keep things focused and helpful. Drunk Octopus wants to fight you, but I think you’re AOK. Ah well.. I’m going to get back to reading my documentation – until later, dear journal! On a semi-tangible tangent – I’ve got a feast of goodies landing on my PS3 and PC lately. Not sure when I’ll have time to play it all! The last 4 are via the humble bundle 2 – I got one for me, and another for Shaun W as Double-win Christmas Presents – Proceeds go to charity, and we get games! 1209002054.jpg, originally uploaded by scottobear. i’m a happy little turtle.